My husband and I had an appointment this morning at our local fire department to have our car seat installed. This was something I was looking forward to for a few reasons. One being a sense of normalcy that comes with taking all of those fun first-time parent classes and courses, which I wasn't able to do because of the bedrest. I was allowed to do this since it required constant sitting in an air conditioned car. The second being that one of my friends is a CPST (Child Passenger Safety Technician) and so I've heard so much about proper car seat safety that I became quite interested and wanted to ensure we were taking all of the proper steps to keep Ethan safe (as well as learn new things for our own knowledge). Due to the bedrest, it took a lot of scheduling to make sure we were able to make one of these events. Many local fire departments only had CPSTs working once a month and several only had them working Monday-Friday, which wasn't conducive to my husband's work schedule (and, of course, I'm unable to drive myself). To add to the chaos, just when we thought we had it figured out, my husband was driving my car and was hit on the highway. No one was injured and the damage is more or less solely cosmetic, but insurance doesn't work quickly with these matters. Having a rental car for over a week to fix the cosmetic damage and then having my car looked at to ensure there is no further damage (my right back wheel was hit) isn't very conducive to a taking-it-day-by-day-to-see-when-baby-has-to-come-out pregnancy. I drive the SUV between the two of us and, no pun intended, that put a huge dent in our plans. Eventually we decided to take my mom's SUV and deem it Ethan's Homecoming Chariot just to make sure we had a seat properly installed in a safe vehicle. One less thing to play ear-by-ear this pregnancy was music to my ears. As it turned out, one of our local fire stations was having CPST's install seats this Saturday. I was able to get one of the last two appointments. It was quite a disappointment. Imagine my horror as I watched the technician admit she's never heard of our carseat (a brand new Chicco Keyfit, recommended to us by my CPST friend), insult our car seat (she didn't think it was good because the handle didn't go "click, click, click"), fumble over how to install it (and call over another technician to help her and then try to figure out what he did -- unsuccessfully) and eventually install it incorrectly. The technician was not familiar with how seats are installed in our car, an '01 Acura MDX so she "guessed it would be fine doing it this way" instead of looking into it, and she could not tell us how we'd go about installing the seats in our actual cars (an '07 Honda Accord and an '05 Mitsubishi Outlander). Aside from one or two obvious things (the seat should be rear-facing, it was not on the recall list), she told us that we'd have to forward-face at 20 pounds when our child outgrows the Keyfit. Even I knew this wasn't true. What was more upsetting was our seat came with a huge label on the front saying it seats up to 30 pounds. 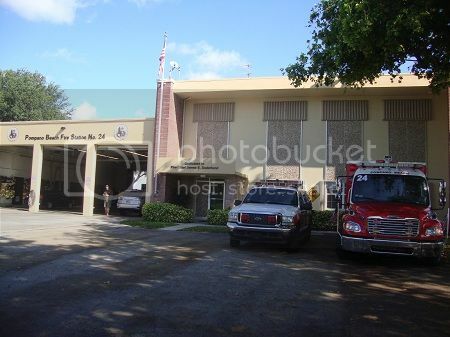 As I sat there and watched the technician fumble to get the seat in and out of the base, I couldn't help but notice all of the cars packed in the fire station getting their seats inspected and installed. It was sad to me that people were making an attempt to learn things and do the right thing and were being shown incorrectly. We didn't learn anything about car safety. We didn't learn about the LATCH system or if our car had it in the middle seat ("I don't know, most cars after 2000 have it," was the response we got). The technician meant well but it seems like there shouldn't be that much wiggle room when it comes to the safety of children. "I don't know" or "just do it this way, it's easier" shouldn't be okay when you're dealing with, ultimately, life or death situations. When I made the appointment, I had confirmed with the appointment scheduler that these technicians were, in fact, certified and up-to-date on all certifications. I was assured that they were. I was initially impressed by how many technicians they had coming and even more impressed to learn that the city gives free (donated) seats out to people in need when they do these installations. It seemed like they were really on top of things and eager to help. I wasn't at all expecting to find a confused technician who installed the seat incorrectly and seemed to, more or less, have no idea what she was doing. She seemed to have no idea that all seats and cars are not the same, which seems pretty common-sense to me! I do plan on sending a letter to the fire department with my concerns. 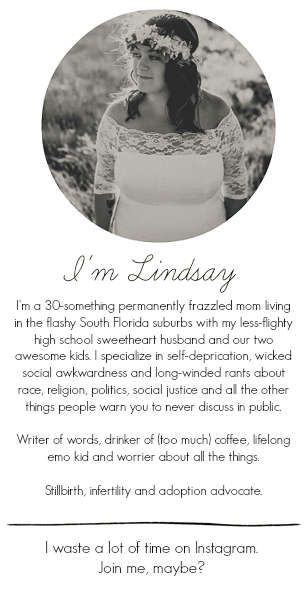 Not to be overly angry and obnoxious, but out of sheer concern for others. Because I had done enough research beforehand, I knew that this was incorrect. If I didn't, it would never occur to me to second-guess a technician on installing my seat correctly when that's why I was bringing it in in the first place. The point of this post is to share with you another post (a must-read post!) about car seat safety. It's a blog entry from my good friend, Rhian, who blogs at For Always, and did an interview with our friend, Emma, on proper car seat safety. You can read that post here. Send the above post to anyone you know with a carseat or any mom-to-be who will be soon installing one. Make sure you're familiar with your car and your seat so you can stay informed. When it comes to the safety of your child, you can never be too cautious or well-informed! Wow, it's scary how little she knew! When we made our appointment, the lady asked what type of car we had and what type of car seat. When we got there for our appointment, she had looked up the manuals for our car and car seat so that she had as much info as she coud beforehand. I was really impressed. I am so upset and frustrated that you guys had this experience. (For anyone reading, I’m the CPST friend). I work really hard with the families I see on a daily basis to make sure that they have all the information to make the very best choices for their child’s safety in their vehicle, and it is infuriating that there are uninformed CPSTs handing out bad information. 1. It is a technician’s responsibility to TEACH the parent to properly install their own seat. Each parent or caregiver should be confident in their ability to install and use the seat properly before they leave. A Child Passenger Safety Technician is an educator – NOT a car seat installer. That parent is eventually going to have to move that seat, and they need to be able to do it correctly. 2. No car seat needs shelf liner (the non slip mat she put underneath the seat) under it. That is a really outdated method that has been removed from the NHTSA curriculum for years. A properly installed and tightened car seat will not slide around the seat, regardless of what material the seats are made out of. 3. If the center seat is available, it is the preferred location for a child because it is going to be the furthest proximity from an impact. That’s not to say the outer seats are unsafe, but if the center seat is available and a proper install can be achieved, it is preferred. 4. 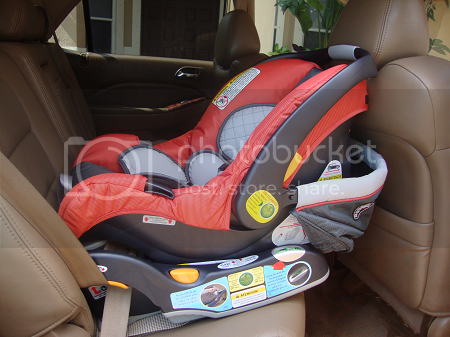 The Chicco Keyfit has a built in seat belt lockoff, and the Acura they were driving has locking retractors, that when the seat belt webbing is pulled all the way to the end, the seat belt switches to the locked mode. Because the Keyfit has a shoulder belt lockoff, you do NOT switch the seat belt to the locking mode. The shoulder belt simply needs to be run through the orange belt lockoff (which it clearly is not in the photograph). 5. A child should not be turned forward facing until they have maxed out the upper weight or height of a CONVERTIBLE seat, NOT when they have outgrown their infant seat or when they hit 20 pounds or when their legs touch the back of the seat. Kids need to stay rear facing until at least their second birthday, and most convertible seats on the market will allow a child to remain comfortably rear facing until 3-4 years old. 12-24 month olds are FIVE TIMES more likely to be killed in an accident if they are in a forward facing position than if they are in a rear facing position. The neck and spine of a one year old is still extremely immature and cannot handle the force of a crash. A CPST should never, ever recommend that a child be turned forward facing when they reach 20 pounds or when they outgrow their infant seat. I’m so disappointed that Lindsay and Aaron had this experience – Lindsay I’d definitely like to contribute to your letter to the fire station, because unfortunately this is something that happens fairly often. Good hearted techs that just aren’t informed properly and are passing on bad information to parents that are trying to do the right thing – but putting their child’s safety at extreme risk by following the directions of a technician that isn’t up to par. that's awful and now I'm not going to bother getting ours inspected. I'm just going to use all of Emma's awesome advice! wow wow wow...that's all i can say!! that is so disappointing to hear. when olivia was born the car seat i had for her only held up to a certain height and weight in a rear facing position. she outgrew this at just 9 months (she is TALL) so we bought a safety first air protect (convertible!) and kept it rear facing until she was nearly 2 years old. willow has one that will hold her in the rear position for much longer :) so much safer! as for the installing...i read my manuals about 10 times and also looked up youtube videos for the install process! i brought my lap top in the car and attached it exactly how i was told with the latch system. if you have the latch system in your car you should most definitely use it! Those people should be fired!!! How many others have been wrongly installed?? And has something already happened?? That could be a case of involuntary manslaughter - or whatever they call the in this country. HORRIBLE!